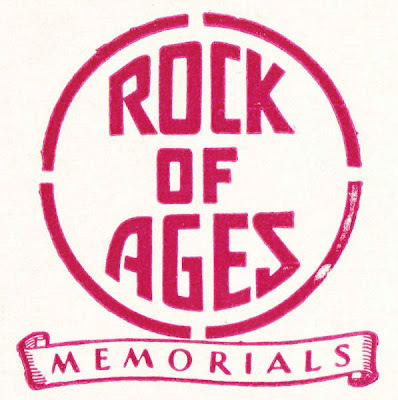 Rock of Ages was founded in 1885. 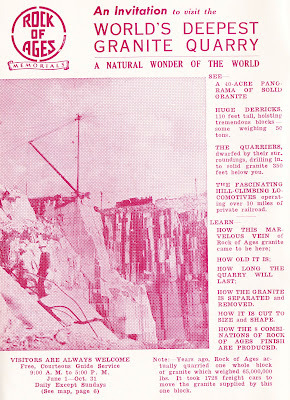 Its workers continue to mine a "deep hole" quarry of Devonian Barre Granite, which is considered to be some of the finest rock in the world. Granite is, of course, highly sought for its uses in sculpture, architecture, gravestones and the sport of curling. 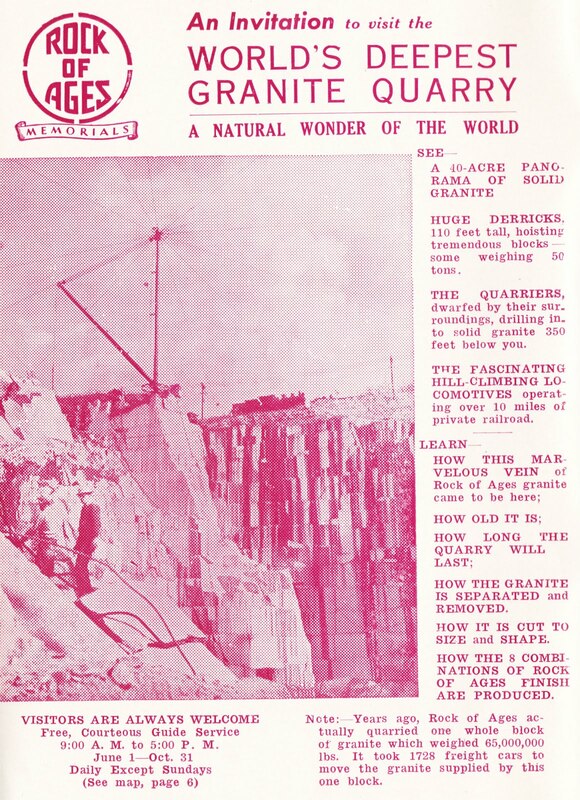 Note: — Years ago, Rock of Ages actually quarried one whole block of granite which weighed 65,000,000 lbs. It took 1728 freight cars to move the granite supplied by this one block. 1. 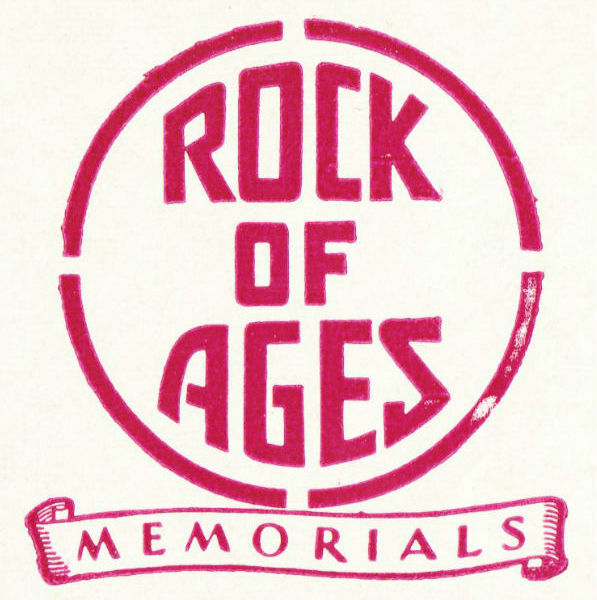 Rock of Ages was also mentioned, in passing, in the August 2012 post "Try a whiskey sour at Montpelier Tavern." 2. I don't know what they told people in 1948, but I found a couple modern references to this supply of granite lasting another 4,500 years. Hey! I've been there! And I bought a pair of granite stud earrings in the gift shop!